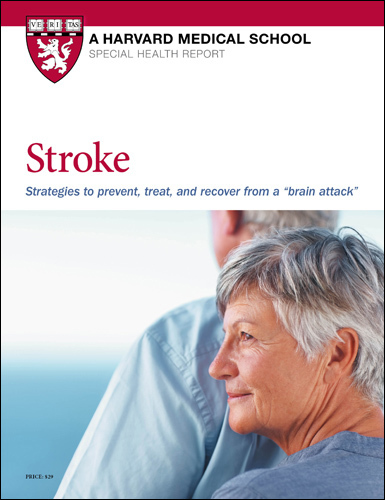 Stroke: Strategies to prevent, treat, and recover from a "brain attack"
Protect your brain: That’s the strategy that Harvard doctors recommend in this report on preventing and treating stroke. Whether you’ve already had a mini-stroke or a major stroke, or have been warned that your high blood pressure might cause a future stroke, Stroke: Strategies to prevent, treat, and recover from a "brain attack" provides help and advice. In Stroke: Strategies to prevent, treat, and recover from a "brain attack", Harvard Medical School experts distill the latest research and recommendations into understandable advice that can help you prevent or cope with a stroke. Who i s at risk for a stroke? Of the approximately 795,000 strokes that occur in the United States each year, about 610,000 are first strokes, and 185,000 are recurrent attacks. Although the incidence of stroke has declined significantly since the 1960s, the strokes that do happen are just as severe. In fact, stroke is a leading cause of serious, long-term disability in the United States. 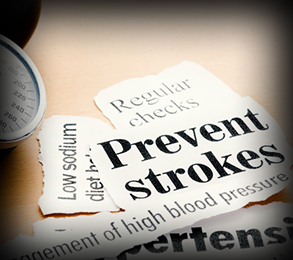 The odds of having a stroke more than double every 10 years after age 55. More than two-thirds of strokes involve people over 65. If you have a stroke, the risk of dying from it also increases with age: 88% of deaths from stroke are in people 65 and older. Women have about 55,000 more strokes than men each year, and women make up about 60% of stroke deaths. Race is another risk factor. African Americans, for example, are almost twice as likely to suffer a stroke as are whites. Although you can’t change your age, gender, or race, you can take steps to reduce other risk factors for stroke, especially ischemic stroke. The most common risk factors for both ischemic stroke and TIAs are high blood pressure (hypertension), diabetes, unhealthy cholesterol levels, obesity, and cigarette smoking. All of these factors affect the health of your blood vessels—increasing the risk not only of stroke, but also of heart disease. That’s why medications and other steps you take to reduce the risk of an ischemic stroke will also benefit your heart. Some types of hemorrhagic stroke are more likely to occur in people with chronic high blood pressure.. But other types of hemorrhagic stroke seemingly strike out of the blue. Although abnormal blood vessel conditions such as an aneurysm (a bubble in the blood vessel wall that could rupture) or an arteriovenous malformation (an abnormal tangle of blood vessels) increase the risk, these conditions may only be discovered inadvertently while you are undergoing testing for something else—or may not be discovered until a stroke occurs.